THE STORY: London, 1879. 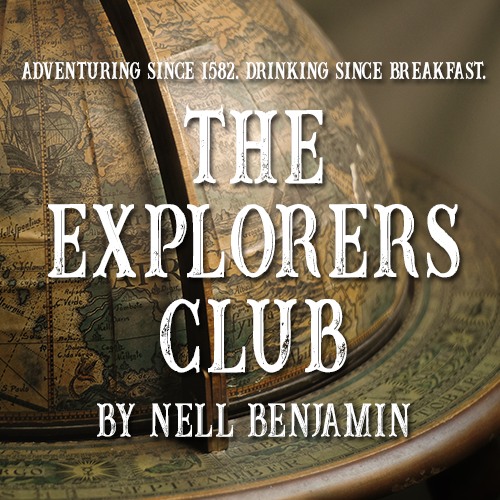 The prestigious Explorers Club is in crisis: their acting president wants to admit a woman, and their bartender is terrible. True, this female candidate is brilliant, beautiful, and has discovered a legendary Lost City, but the decision to let in a woman could shake the very foundation of the British Empire, and how do you make such a decision without a decent drink? Grab your safety goggles for some very mad science involving deadly cobras, irate Irishmen and the occasional airship. A la carte cash bar and snacks available for purchase before the performance and at intermission. Will-call opens approximately 45 minutes prior to curtain. Seating opens 30 minutes prior to curtain. Parking is free and plentiful in our well-lit lots. Best parking is on South side of campus behind buildings 3 and 4. Theatre is located in building 3.